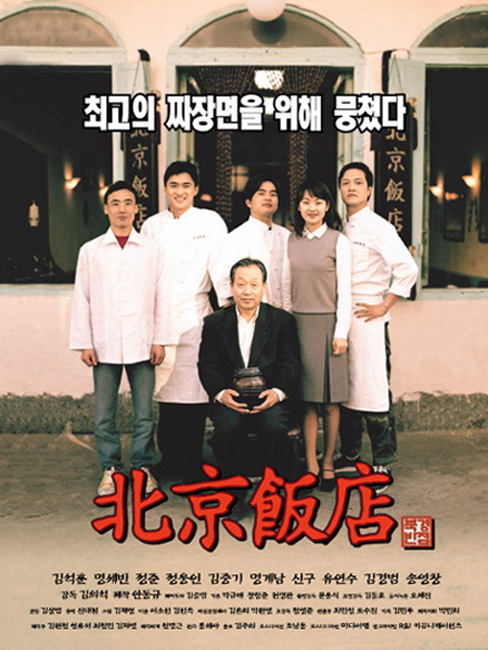 A young man, Yang Han-Kook appears at a small Chinese restaurant in decline, Peking Ban-Jeum. He is a son of the restaurant president, Han's childhood friends, from China. The president Han made a promise to run one of the best Chinese restaurant with his friend (Han-Kook's father) after he learned how to make Jajang-myeon (a Chinese soybean sauce noodle) in China. He falls in his old memory, seeing the kitchen knife and a pot of Chinese soybean sauce in Han-Kook's hand. Han-Kook determines to follow the president Han's dream. One day Han finds that the head cook uses caramel and a chemical seasoning to make Chinese soybean sauce. He is shocked at this fact and is ill in bed. He decides to close his restaurant. Mi-Rae, Han's daughter and a manager of western restaurant is also in dejection at this news. Han-Kook leaves alone in the abandoned restaurant and determines to gather separated employees of restaurant. They together do their best to restore Peking Ban-Jeum. The restaurant gets to be popular again thanks to its delicious Jajang-myeon and other whole-hearted dishes.